There are few places in the world where nature is as exuberant, colorful or diverse as in the tropics of Costa Rica. This Costa Rica & the Panama Canal journey takes you here and beyond, to the inspiring land of Panama. To many, Panama is synonymous with the Canal, stretching more than 50 miles and traversed by some 14,000 ships each year, one of the most celebrated human achievements on the planet. What many people don't know, is that the country of Panama offers a level of natural beauty and biological diversity that's equal to Costa Rica's. On this Costa Rica and Panama small ship cruise, explore famous national parks and wildlife reserves, including a privately owned tropical garden. Walk rainforest trails, home to capuchin and howler monkeys, three-toed sloths, green iguanas and colorful hummingbirds. Relax and enjoy all the comforts and intimacy of small ship cruising. 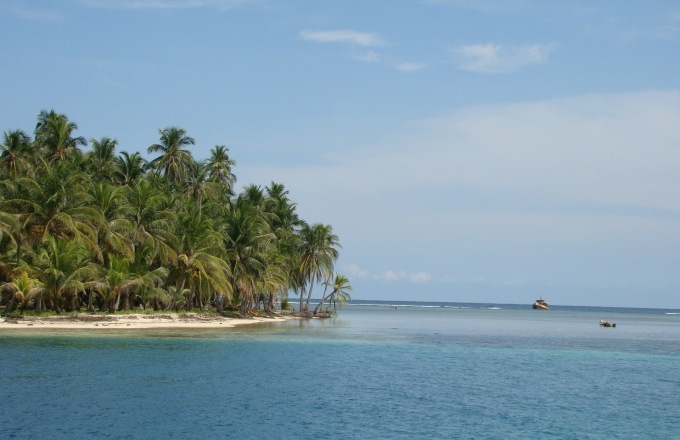 Swim and snorkel Panama's famed Isla Coiba. Kayak along wildlife-rich, remote coastlines. Go horseback riding on the beach. Transit the legendary Panama Canal, and visit Barro Colorado with scientist escorts from the Smithsonian Research Station. The 62-passenger National Geographic Sea Lion is ideal for those seeking small ship adventure, supreme naturalist guides and activities for all levels. Depart U.S. late morning via American Airlines on a nonstop flight to Panama City, with a flying time of about three hours. On arrival, drive to Colon to board National Geographic Sea Lion and set sail for the first part of your Panama Canal transit, anchoring in Gatun Lake for the night. Board zodiacs for Barro Colorado Nature Monument in Gatun Lake. Barro Colorado Island has been the primary Smithsonian center for tropical rain forest study since 1923, and this itinerary has special permission to visit the facilities at the Smithsonian Tropical Research Institute. This is also the site of a National Geographic-supported project that tracks tagged animals using automated radio signals and wireless technology. Meet some of the scientists and walk with them through the forest to learn about their work researching the islands's 120 mammal and diverse tree species before reboarding to continue crossing the complex lock system of the Panama Canal. Often, you'll have the opportunity to cross part of the Canal during the day, and another when it is dramatically lit at night. This archipelago of islands due south of Panama City has a storied past — pearls, conquistadors, buccaneers and so much more. Explore the turquoise waters via zodiac or kayak, where dolphins and whales have been spotted. Some of the birds you may observe are roosting and nesting magnificent frigate birds, brown pelicans, neotropical cormorants, brown boobies and blue-footed boobies on an otherwise empty stretch of white sand. Isla Coiba is one of Panama’s most remote national parks, where you may hike the tropical forest trails. The national park includes thousands upon thousands of acres, 80% of it ocean, making the area perfect for swimming and snorkeling amid tropical fish. The eastern Pacific has very few living coral reefs because the water is too cool, but the exception lies here. These waters are full of life with over 69 species of fish living among the healthy coral. Parrot fish decorate the algae, and if you're lucky, you may see the rare bifin or bifin spazus which can weigh up to 300 pounds. The National Geographic Sea Lion staff will assist both novice and expert snorkelers alike. For those preferring a drier clime, onboard Naturalists take underwater footage, which animates the evening gathering in the lounge. Today make your first landfall in Costa Rica with a beautiful destination, Casa Orquideas, a privately owned tropical garden accessible only by boat and special invitation. Ron and Trudy MacAllister put this garden together over 20 years of collecting local rainforest plants and trading them with other botanical gardens. To see these varied and colorful plants in such a lush, natural setting is almost dreamlike. Here roam among a profusion of orchids, spotting tanagers, parrots and gaudy toucans. Later, take some time to explore the forested bays of Golfo Dulce, ideal for kayaking and swimming. The mangrove forest that lines the shoreline forms a unique ecosystem to observe up close on kayaks. The bird watching is wonderful, so look for birds with names as colorful as their feathers: black-crowned tityra, fiery-billed aracari, chestnut-mandibled toucans and scarlet macaws. This morning, the National Geographic Sea Lion anchors off the remote Osa Peninsula in the environs of Corcovado National Park, home to some of the most pristine lowland rainforst on the Pacific coast. The exact landing area for the day will depend on sea conditions. You may swim in waterfall pools, horseback ride on the beach, join a zodiac cruise, or trek through the rainforest for a chance to see four species of monkey in one day: howler, spider, capuchin and squirrel! Although this UNESCO World Hertiage site is the smallest national park in Costa Rica, it rivals Poas Volcano Park for the title of most popular. Because the abundant wildlife here is most active in the morning, get an early start, arriving here before breakfast. Lethargic, three-toed sloths remain statue-like in the dense trees. White-throated capuchin monkeys, agoutis, howler monkeys, white-nosed coatis, squirrel monkeys, white-lined sac-winged bats and tamandua anteaters are all well within reach here. Birders will be happy too, with the possibility of seeing the purple crown fairy, bare-throated tiger heron, orange chinned parakeet and so much more. The smallest kingfisher on the continent is the American pygmy kingfisher. It's hard to spot, but the ship naturalists often can find one for those with the patience to wait. In the afternoon, explore Costa Rica's beautiful coastline, finding a great spot for a final hike or swim. Disembark National Geographic Sea Lion this morning in Herradura and drive to the airport for flights home, or on to other adventures. The U.S.-bound group flight departs in late morning, arriving in the late afternoon. Sole occupancy cabins are available in categories 1 and 2. Shares can be arranged for solo travelers at the double occupancy rate in categories 1 and 2 only. We match you with a cabin mate(s) of the same gender. Even if we are unable to find a cabin mate for you, no single supplement will be charged. Third person rates are available in certain categories at one half the double occupancy rate. Choose the National Geographic Sea Lion if you are an active and inquisitive traveler seeking immerse yourself in nature and wildlife. The experts and equipment on board provides the finest intellectual and educational experience of any small ship cruise. Don't expect five-star accommodations and amenities; there are other luxury ships if this is your priority. But if your priority is the best expedition experience possible, with the best guides in the industry, and you are willing to pay the premium of such an experience, the National Geographic Sea Lion and her sister ship Sea Bird are the right small ships for you. The Adventure Smith Explorations crew has personally sailed aboard National Geographic Sea Lion. After you review the ship description below and our National Geographic ship review above, if you have any questions please do not hesitate to contact our travel experts. Main Deck #300, 301, 302, 303. Conveniently positioned between the dining room and lounge, these cabins feature twin lower beds, and a large view window. Upper Deck #200-212, 215; Bridge Deck #100-104, 108. These well-located cabins include twin lower beds and a large view window that open to the outside. Upper Deck #214, 216-219; Bridge Deck #105, 106. These large cabins feature a seating arrangement with a table and two view windows. Certain cabins include twin lower beds. Cabins #214, 216, 217, 219 can be configured to accommodate three travelers. All port taxes and service charges during the voyage. Gratuity to ship's crew and naturalist staff at your discretion. Protect your travel investment with insurance. Our partners at Travelex Insurance offer a variety of plans and policies to fit every trip and budget. You must purchase your travel insurance policy within 21 days of booking your trip for it to cover pre-existing medical conditions. Learn more about travel insurance or get a free quote. Departures flagged as Photo Expeditions are part of the exclusive Expedition Photography program, meaning that they are accompanied by a Lindblad Expeditions-National Geographic Certified Photo Instructor and are designed expressly to move at a photographer's pace so that you can take advantage of some of the most photogenic places on the planet. All other Costa Rica & the Panama Canal sailings feature a Lindblad Expeditions-National Geographic Certified Photo Instructor onboard. This naturalist is specially trained to offer assistance with camera settings, the basics of composition and to help you become a better, more confident photographer.